S’mores are a quintessential summer camping treat. Now you can have that ooey-gooey, chocolatey goodness even when having a fire isn’t possible. 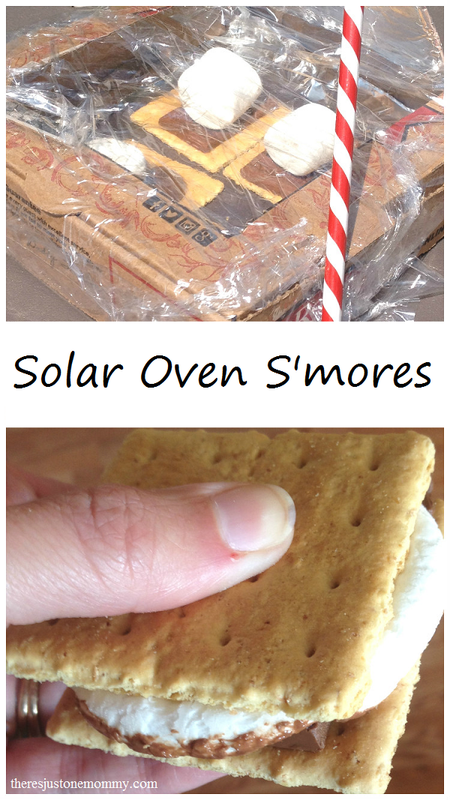 With this simple summer STEM activity, you can show the kids how to make solar oven s’mores at home. 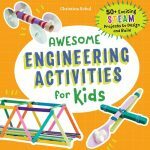 Warning: It may just become one of your favorite STEM activities! 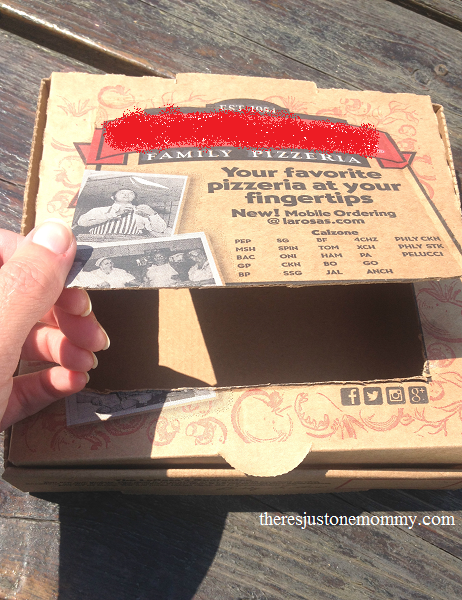 Wrap aluminum foil, with the shiny side out, around the pizza box lid. You may need to use a bit of tape to hold the foil securely. Tape a second piece of foil, shiny side up, to the bottom of the box. Finally, cut a piece of black construction paper so that it fits at the bottom with 1 inch of foil showing on all sides. Secure the black paper to the foil, rolling the tape so it is hidden under the black paper. Cover the opening in the box with clear plastic wrap. This will help keep the bugs off and holds in the heat. Use tape to hold this plastic in place. 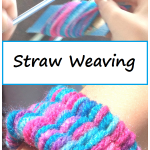 Finally, use your pencil (or a wooden dowel) to hold the flap open. 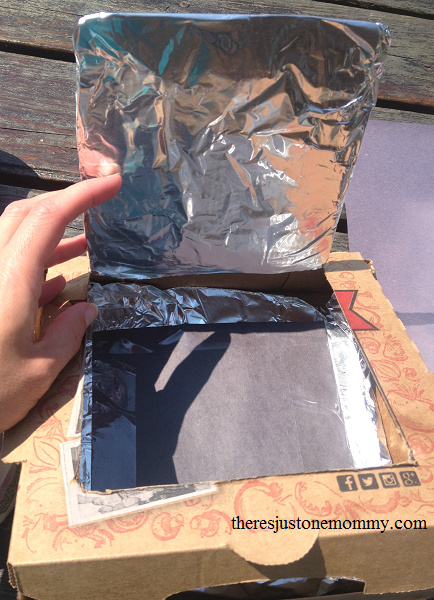 Set the solar oven in the sun, positioning it so that the sun reflects off the foil on the lid’s flap. You may need to adjust the pencil’s position. 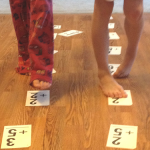 Tape can help keep the pencil in place. Now you’re cooking s’mores with your solar oven! Check your s’mores every 10 minutes. They are ready to eat when the marshmallows are able to squish under the top graham cracker. Use a thermometer to see how hot your solar oven gets. How does this temperature compare to a real oven? The weather will affect how well your solar oven works. Try it on different days. How well does it work on a mild day versus a hot one? What about a cloudy day versus a sunny day? The black paper serves as a heat sink. What would happen if you used a piece of white paper or a different color? Can you think of ways to make your solar oven more efficient? Making s’mores is a classic summer treat. 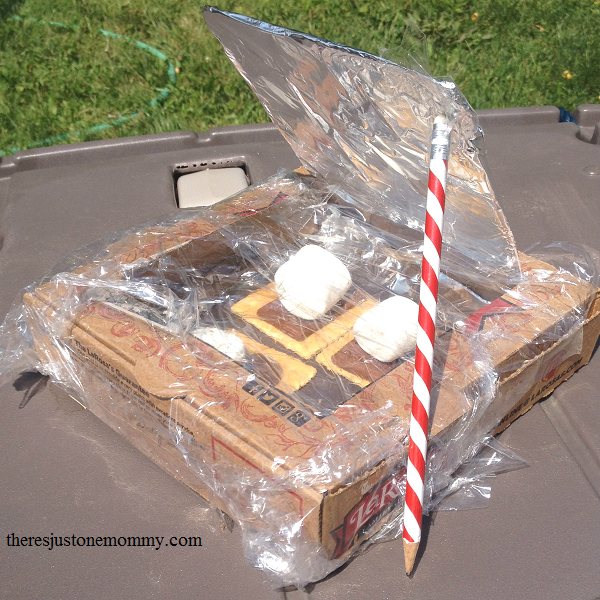 This simple summer STEM activity teaches kids about the power of the sun, all while learning how to make s’mores with a solar oven. Love this. 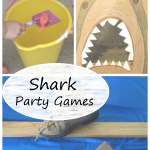 So going to do this this summer with the kids and neighbors. I hope they enjoy their tasty s’mores as much as we did! 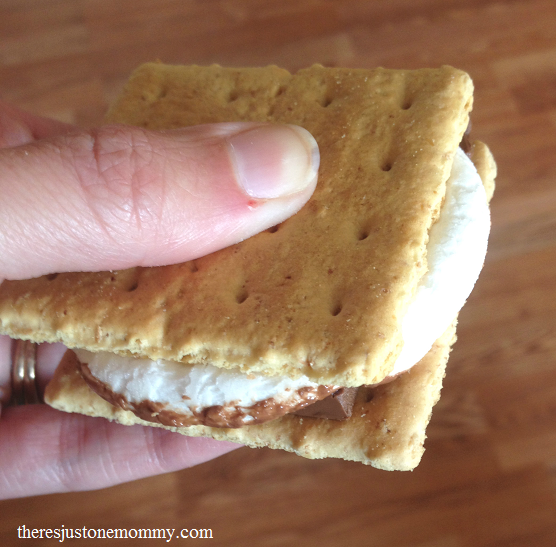 What a fun way to make s’mores!